Children's Book Illustration - a magical course... part 1. — Anna Wilson Ink. 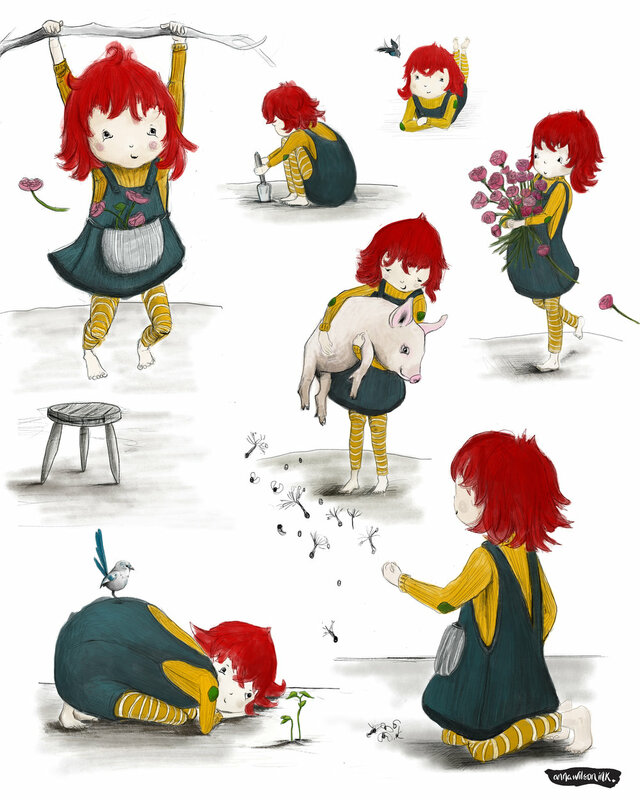 Children's Book Illustration - a magical course... part 1. 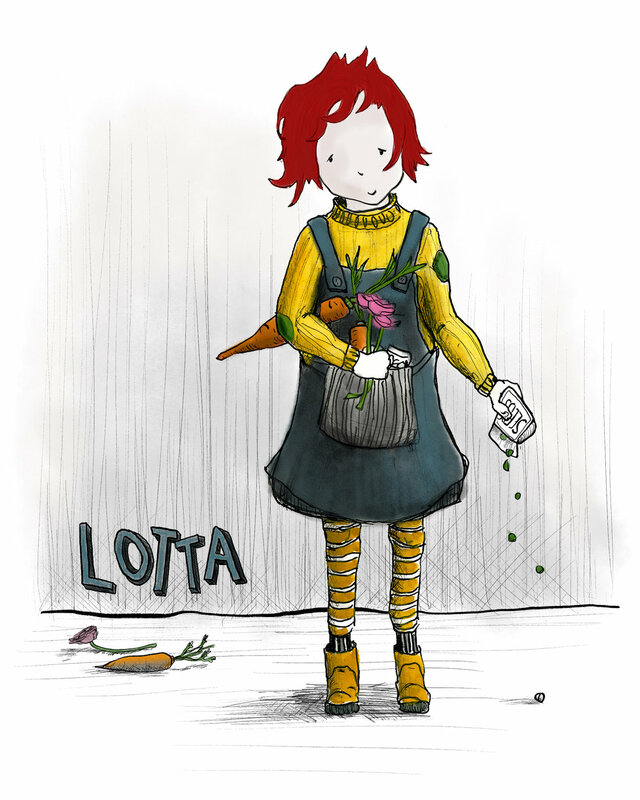 Lotta is the first little character that I’ve created aimed at children and oh my goodness, I think I might be addicted. I’ve just finished a five week course, the Make Art that Sells Children’s Book Illustration course. It was a ripper, an absolutely incredibly intense and amazing journey into the incredibly magical world of children’s books. I drew and drew and drew, so much for five weeks. One weekend I literally drew for three days in a row… breaking only to eat and sleep. I discovered incredible illustrators - my most favourite discoveries being the incredible Beatrice Alemagna and Anna Walker. I bought their books, and studied their characters and completely fell in love. The course begins with a selection of three texts to chose from, written especially for the course. This makes the course particularly magical, as the 300+ people taking the course at once are all working from one of these three texts so you get to see how so many other people interpret the same story. Nobody’s work was anything like each others. Which I guess is to be expected, but it is a source of so much learning seeing how people respond to the same words - particularly as the students ranged from people who are well known illustrators to others who are exploring illustration for the first time. The first step of the course was to create a character. My first go at Lotta… but after the reviews, I knew she looked too old… and I had to brighten up her eyes and do things a little differently. So she evolved. We spent three weeks working primarily on one character. First just a single simple drawing. Then, the character feeling different emotions. And then in the third week, in different poses. It was so addictive trying to make this little person do things. I feel quite happy with her body and it’s movement but I feel like I need to work on her expressions a bit though… her little face doesn’t always do what exactly what I would like. I knew after three weeks that I wanted to do more of this. Weeks four and five were even more satisfying - we created a world (a spread) and a book cover. Read about them in the next post.